The first documented race in rowing occurred in 1716 in London, and it was called the Dogget Coat and Badge Race. Essentially it started as a source of pride and honor between competing ferrymen who wanted to demonstrate who could move passengers or goods the fastest. However rowing began to shed its working roots and soon developed into a true sport. Eton was the first school to begin racing boats in 1811, and the first competition of any type between two universities occurred in 1829 when Oxford raced Cambridge in "The Boat Race". In the United States, the first boat club appeared in New York harbor in 1834. Collegiate level rowing started when a Yale student purchased a second hand boat in 1843. Rowing very quickly spread across the country. Today, the Detroit Boat Club, founded in 1839, has the honor of being the oldest athletic club in the country. In 1858, boat clubs in Philadelphia organized the Schuylkill Navy, which is the oldest sporting organization still in existence. With the industrial revolution, the country's population moved to cities and sought activities in their leisure time. Horse racing and boat racing became the most popular sports. The number of regattas increased from perhaps a dozen before the Civil War to over 150 in 1872. They were held from Savannah to Sacramento and Maine to Milwaukee. 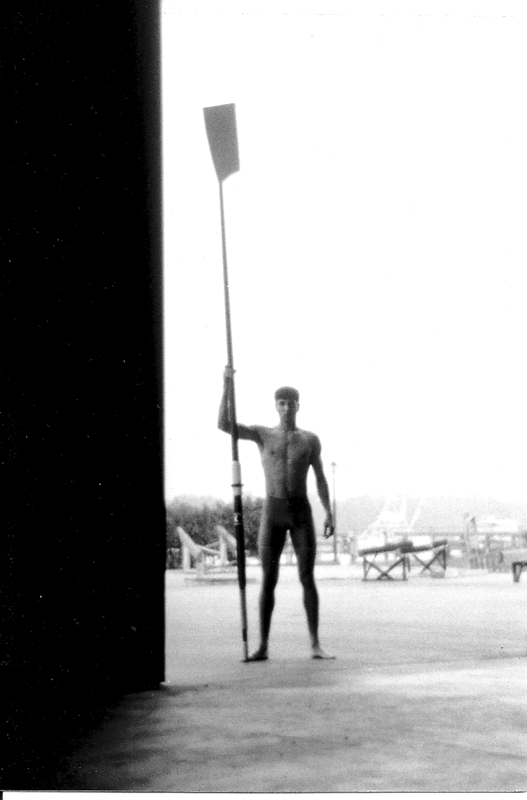 There was a time when the only professional athletes were rowers. Professional rowing grew in popularity with prizes that ranges from 25 to 6000 dollars. These professional athletes enjoyed fame across the country and often became popular for their colorful personalities. The regattas became exciting events with crowds, food, drink, and entertainment. Unfortunately, gambling permeated the sport, and this lead to its disappearance by 1900. This did not affect the colleges and amateurs who preferred to distance themselves from professional rowing. The National Association of Amateur Oarsmen was established in 1872. This was the predecessor to the United States Rowing Association (renamed in 1982). This was the first national sports governing body in this country, and also the first to establish the definition of an amateur. 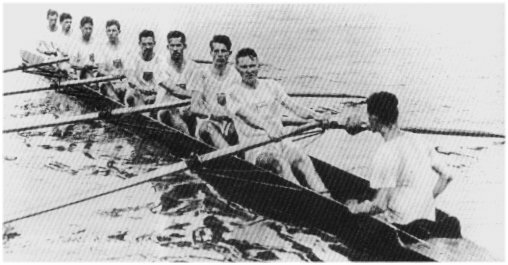 College racing began in six-person boats with no coxswains; however, they changed to eights, which were faster with coxswains to prevent accidents. The first intercollegiate competition in this country was a boat race in 1852 on Lake Winnipesauke in New Hampshire between Harvard and Yale. This is an annual race that still continues to this day. By 1875, there were 13 eastern schools with teams. Universities on the west coast soon followed with their own teams. In the Olympics, the United States won the gold in eight successive Games. By 1960, the sport began to evolve with changes in technique and training methods that focused upon speed, endurance, and strength as never before. Continental European countries began to dominate the event, most notably eastern countries whose athletic programs were sometimes referred to the “eastern sports machine”. Rowing continues to have success in the Olympics as the second largest participatory sport next to track and field. Women have only recently been apart of rowing as “athletes” in the last 25 years. Although Wellesley College had women rowers in 1877, the activity was considered to be only “recreational” in the few clubs and colleges that offered it. In 1962, the National Women's Rowing Association was founded, and, in 1976, the United States sent a women's eight to the Olympics. Today, women constitute the fastest growing segment of rowing in this country. Women's Crew is the fastest growing NCAA team sport. Women are finally beginning to enjoy the competition, funding, and scholarships that were once only available to male athletes. A general history of our sport. Crew is officially the oldest recorded competition between two universities.